Zoya Nail Polish presents six new metallics for winter 2010. They reminded me a lot of the summer 2010 Sparkle collection because it left the same kind of fine microglitter on my hands and when I think metallic, I think China Glaze Khrome. Anywho. 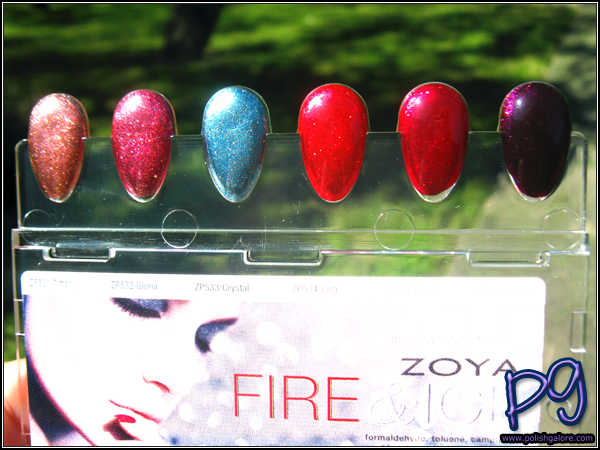 Flame are available today, October 1, 2010 on Zoya's website.